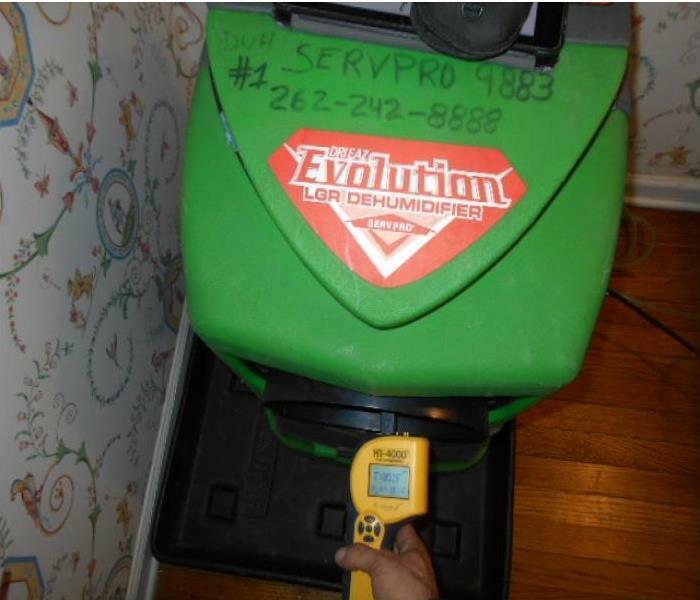 During a water loss, we have to check our dehumidifiers daily to make sure they are effectively removing humidity from the air and the wet areas such as the walls, floors etc. to expedite drying. Our Crew Chief, Tony Lacy, HEPA vacuuming the suspected mold areas during a mold remediation project. 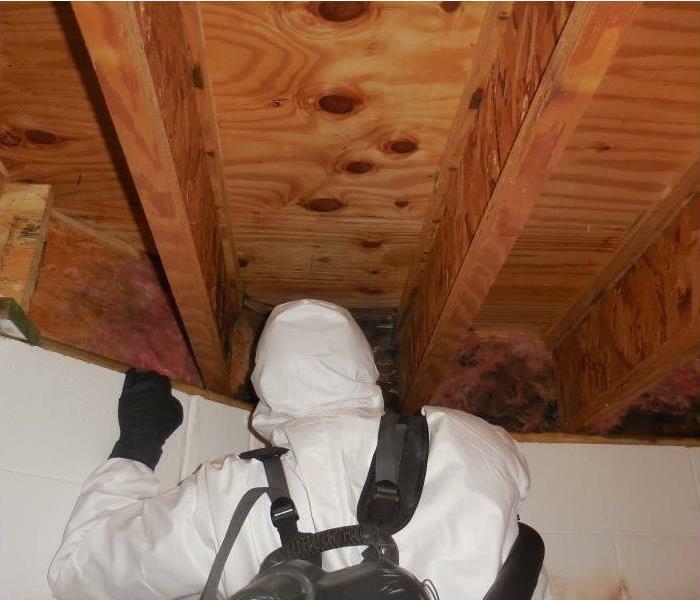 This is just one of many step by step processes we take during mold remediation. 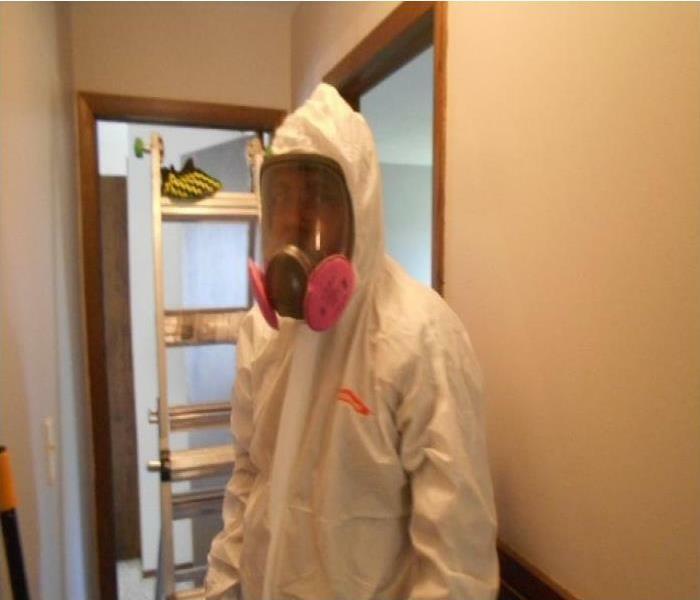 At SERVPRO of Ozaukee County we make sure our technicians are trained to work in different mold situations. One of our training sessions teaches each technician how to dress and undress in PPE- Personal Protective Equipment - properly to avoid contaminating other areas. Our technicians measured the window for the correct fit. 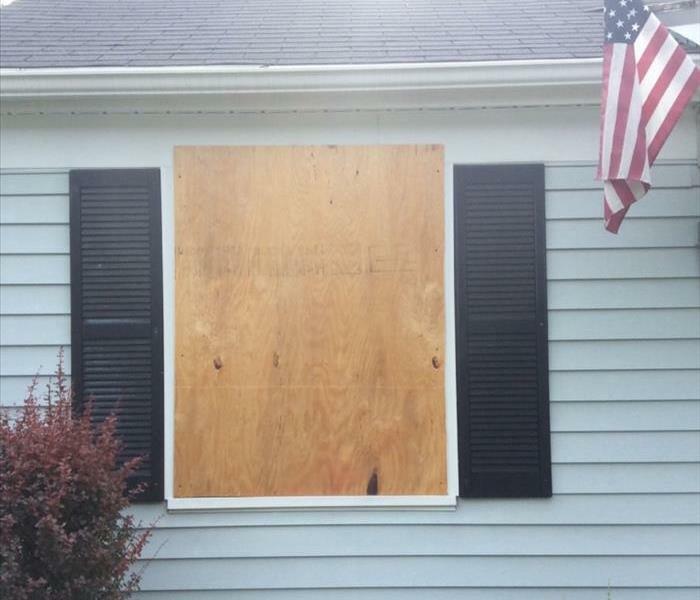 Then they secured the wood inside the window to put the homeowner at ease until the broken window could be repaired. 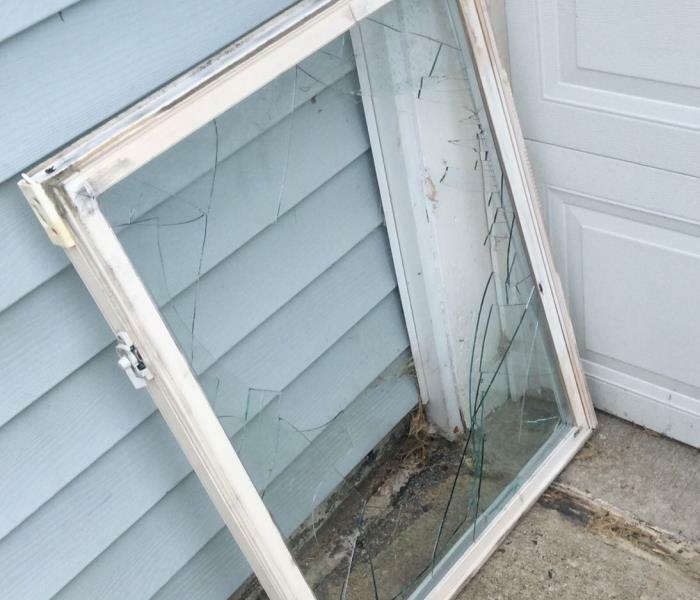 The customer called us out for an emergency board up of a broken window. It was broken during a vandalism spree. The homeowner was thrilled at how fast we came out to board it up preventing any further damage.